While in Zambia Patricia Heaton met with her sponsored child, visited health clinics, observed clean water programs, met with humanitarian aid workers and helped to assemble bicycles. Emmy Award-winning actress Patricia Heaton, currently the star of ABC’s “The Middle” and longtime star of “Everybody Loves Raymond,” has agreed to join and serve as the founding member of World Vision’s Celebrity Ambassador Network. Last fall, Heaton launched a new program, “Patricia Heaton Parties” on the Food Network. The program, currently airing its second season, features her favorite party-friendly food and tips for entertaining. The program was nominated for two Daytime Emmy Awards and won for Outstanding Culinary Program. As a World Vision Celebrity Ambassador, Heaton will partner with the Christian humanitarian organization to raise awareness, funds and additional support for its work serving the poor in nearly 100 countries worldwide. She also will serve as the celebrity spokesperson for World Vision’s annual Christmas campaign later this year. A supporter of World Vision for several years, Heaton has appeared on its annual holiday Gift Catalog, voiced a public service advertisement following Typhoon Haiyan in the Philippines, spoken at World Vision fundraising events and supported the organization’s disaster relief initiatives. 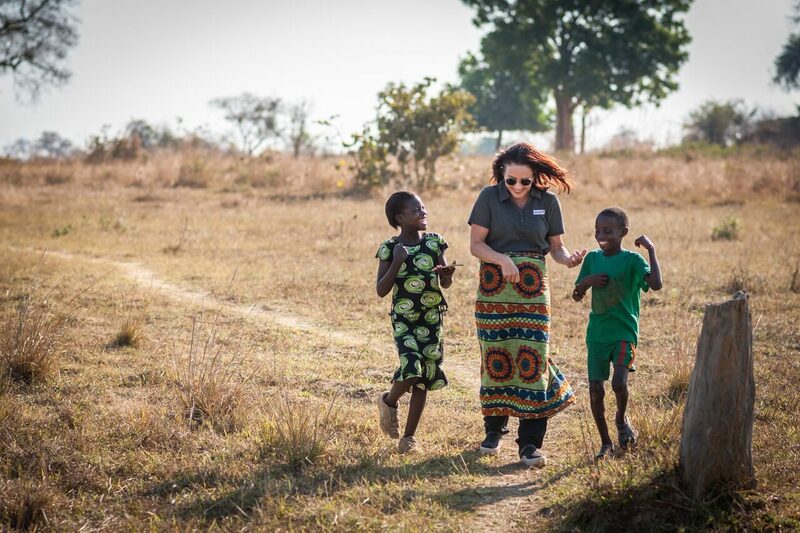 In September 2015, Heaton and her teenage son traveled to Zambia with World Vision. While in Zambia she met with her sponsored child Gracious, visited health clinics, observed clean water programs, met with humanitarian aid workers and helped to assemble bicycles for local residents. She shared her experience during an appearance on the nationally syndicated talk show “The Doctors” in December 2015. Heaton cites World Vision’s effective programs and fiscal accountability as two major factors in influencing her support. Photos and b-roll available upon request.